Oh lettuce, stop teasing me. The weather is cooperating, I am giving you water and am pretty sure darn dog Chloe isn’t trying to eat you. Won’t you please grow a bit faster? My mouth is watering just thinking about the delicious salad you’ll make, not to mention pretty, with your lovely green and purple hues. I promise to pair you with equally lovely tomatoes, onions and mushrooms. Pretty please? 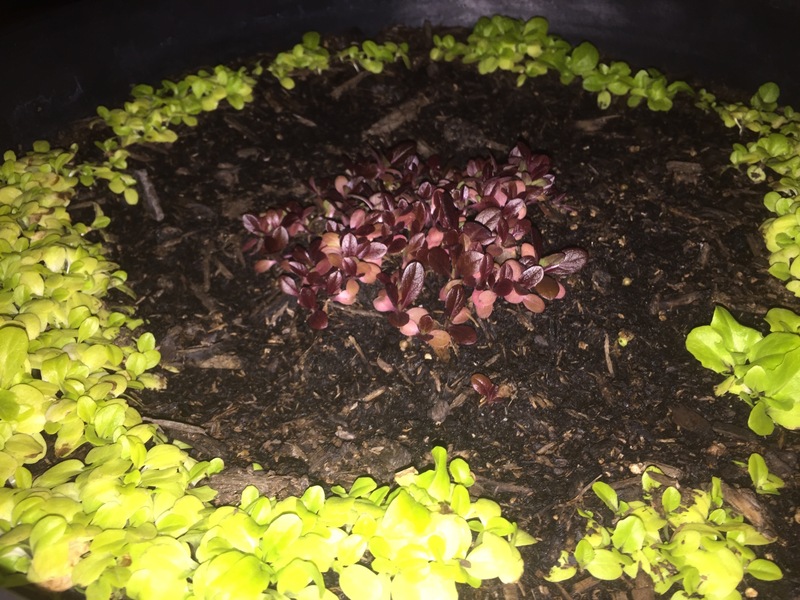 This entry was posted in Food, Gardening and tagged lettuce on January 28, 2015 by Julie Riebe.